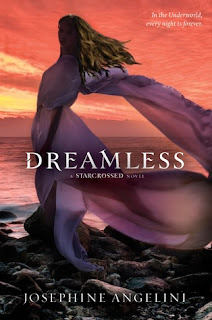 Dreamless by Josephine Angelini ~ Love.Life.Read. At the end of Starcrossed, we learned that Helen is a Scion and that she, Lucas and others are doomed to keep playing out the Trojan War to appease the gods of Olympus and the Furies curse. In Dreamless, we pick up with Helen learning that one of her powers/talents is to descend into the Underworld to try to defeat the Furies so the curse does not continue to haunt the Scions for eternity. Helen’s times in the Underworld are mentally, physically and spiritually exhausting—so much so that she feels like she is starting to go crazy. She is luckily rescued, helped and defended by Orion, another Scion who is able to go down to the Underworld using a special artifact from his family’s House. Lucas is not happy to not be the one who is defending and protecting Helen, no matter what Helen’s mother told her at the end of book one. When Lucas, Helen and Orion become blood brothers, their paths are once again changed forever. The gods are able to break free and come back to the surface to wreck havoc—once they thought were safe, now they learn at the end of Dreamless that everything they thought was complicated, was insignificant compared to what they will be faced with in Goddess. I was nervous to read Dreamless—I enjoyed Starcrossed so much I was afraid that it would not live up to it. I am happy to say I enjoyed it as much. 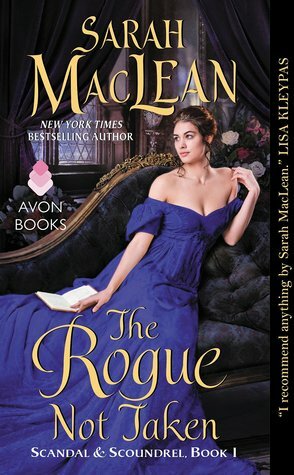 I was also nervous because of the cliffhanger at the end of book one—I really like Helen and Lucas together so I was not sure what I would think about having Orion introduced as a possible love interest. As with Starcrossed, this book hooked my attention and did not let me go until I had finished the book. Do not let these books intimidate you because of their size—you will not realize that you have sat and read an almost 500 page book when you are finished with them. They are that good! I love the interplay of the mythology with modern times—it is so well done that it is not taxing even if you are not a huge mythology lover. What I love the most about this particular title is the rich descriptions used throughout the book in telling the reader Helen’s views of the underworld. I could vividly picture it in my mind as Helen, Orion and then Lucas make their way to it. Helen is a fantastic character. Despite Orion and Lucas' help, Helen is still very much a strong, female character and figures out many of the twists and turns--Helen is much stronger and smarter than she realizes. 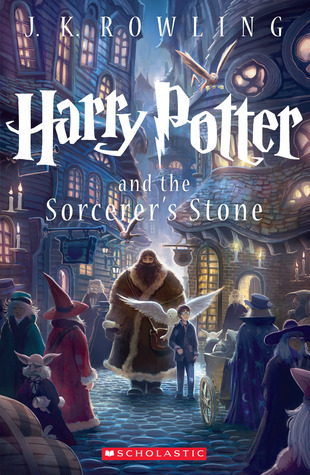 I also love the development of some of the secondary characters (new and old) in this book. Specifically, Cassandra, Orion, Hector and Daphne are intriguing and I want to learn more about them. These books are well worth the reading time—I cannot recommend them enough. The series is continuing to hold my attention! I am looking forward to reading Goddess—I am so happy I do not have to wait to read it! Yay! So glad you enjoyed this one! I agree with you that Helen is so much stronger than she thinks she is and it was great to see her starting to realize this by the end of the book. I really think you're going to enjoy Goddess!